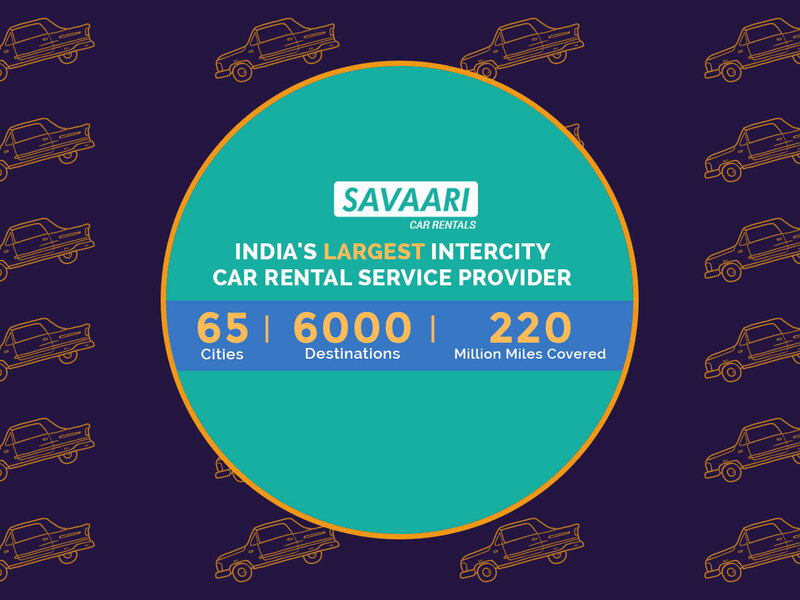 Choose Savaari - What sets us apart? Choose Savaari – What sets us apart? 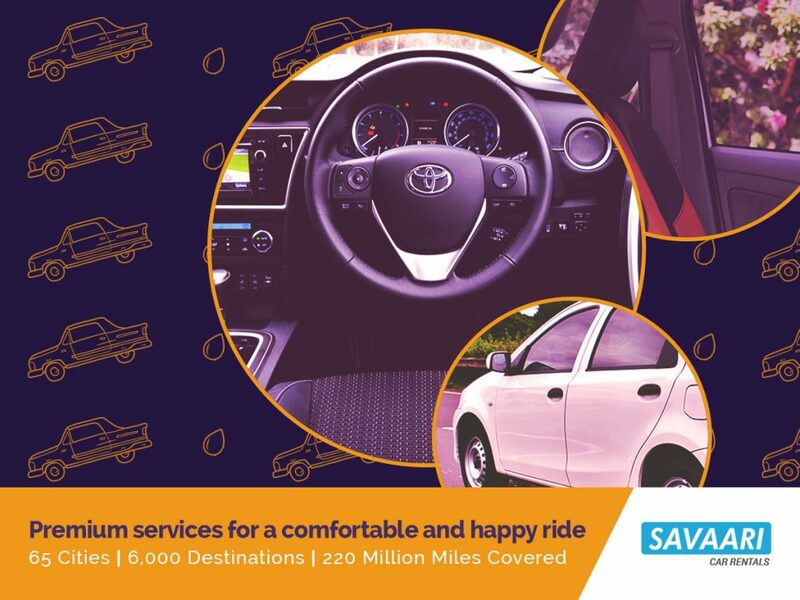 From the time you book your cab to the time we drop you off after your vacation, we guarantee you’ll get the best service every step of the way. We understand that your vacation is important to you. We make sure that your journey is perfect from start to finish. Right from choosing the best car and driver to match your needs, to recommending things to do at your destination – you can rely on us to make your vacation perfect. Our Cars and Drivers go through a 30-point verification checklist to ensure that we deliver the best in class experience. It isn’t easy for someone to become a chauffeur with Savaari. If they do, we assure you that they’re the best in the business. Your time is extremely important. So we always make sure that your car is ready well in advance. 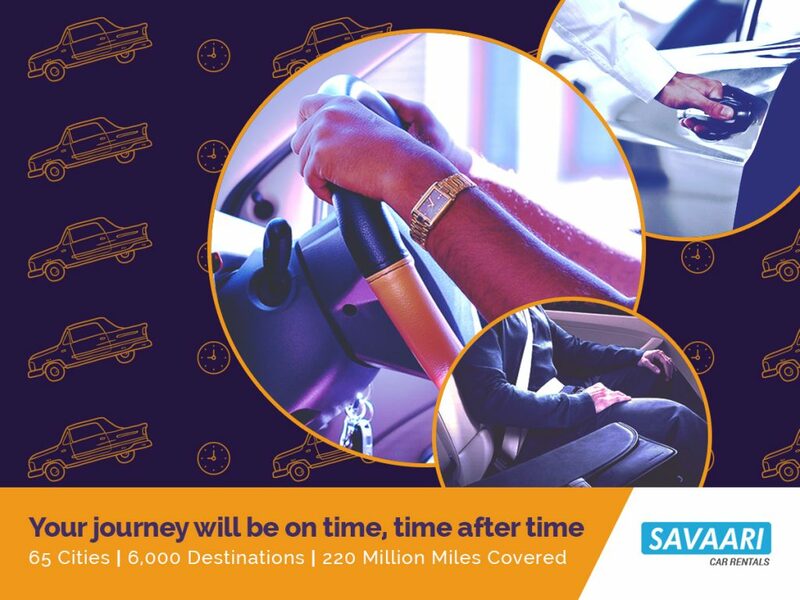 You won’t have to wait to start your journey when you book a cab with us. We have a presence in 79 cities and we’re growing everyday. Rest assured, if there’s a destination on your travel bucket list, we can take you there. 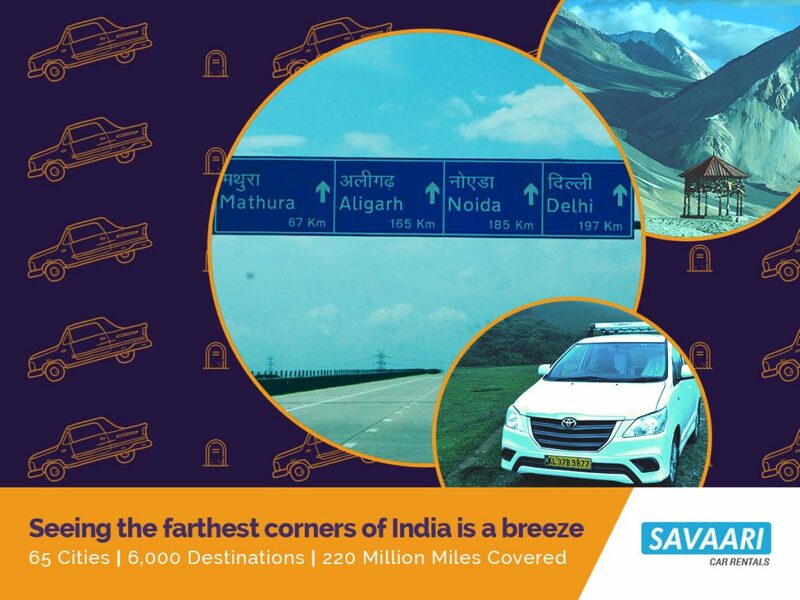 Whether it’s the snowy mountains near Leh, or the sandy beaches of Kanyakumari, we’ve got you covered. What you see is what you pay for. 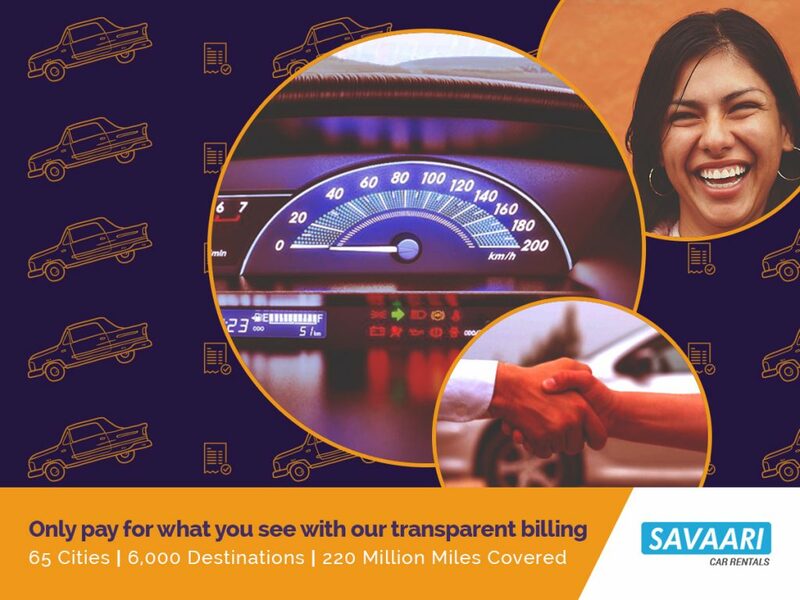 Our bill covers taxes, the driver’s allowance and even shows you how many kilometers you’re entitled to on your journey. We promise that when you get back from the trip, there won’t be any surprises. 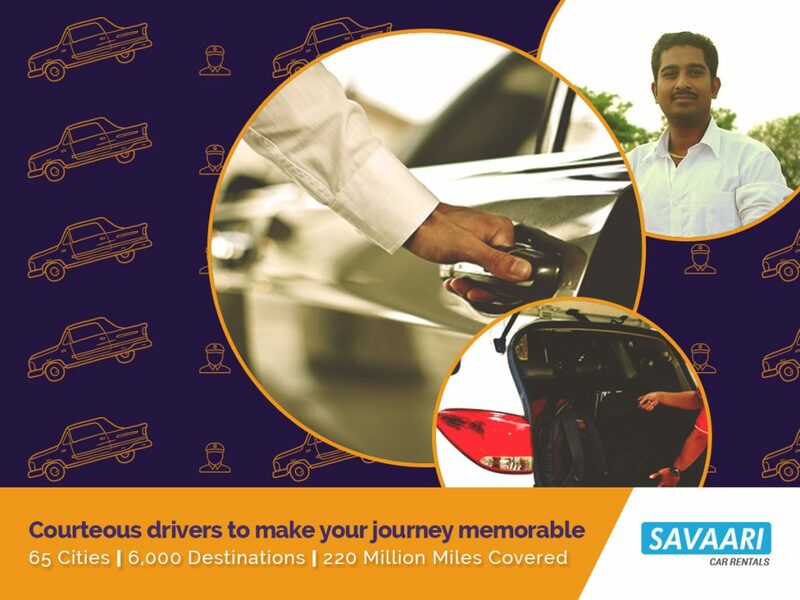 Who needs a Self-drive Car when you can get pampered with a Savaari?